Back in the day, your grandparents used Castile soap for just about everything under the sun. Over the years, it fell out of favor; so much so that, just 15 years ago, you used to have to special order it or buy it online. Today, the simple joys of castile soap have returned and you can probably find it at your local pharmacy or grocery store. Unlike regular detergents or soaps, a tiny bit goes a long way, so don’t be surprised by the smaller sized bottles. 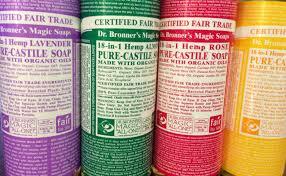 Castile soap is made from vegetable oil, usually olive oil, rather than animal fat. This makes castile soap one of the purest, most natural soaps around. Even though it says “soap”, this type of soap has remarkable cleaning and moisturizing capabilities that other soaps don’t have. 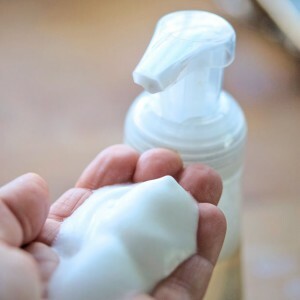 Let’s take a look at all the wonderful ways castile soap can be used around your home to save you time, money, and keep your living quarters (and body) naturally beautiful. You don’t need to spend a fortune on your hair; you will have everything your hair needs by simply mixing ¼ cup of coconut milk, 1/3 of a cup of castile soap (liquid), and 1 teaspoon of olive or sweet almond oil. If you would like a bit of scent, add 10 to 20 drops of your favorite essential oil. Many people enjoy the scent of lavender, rose, or frankincense, but you can add any scent you fancy. Put in a nice squeeze bottle and shake well before using. This is one of the best, yet inexpensive, moisturizing shampoo around. If you don’t want to use paper towels for wiping up spills or cleaning kitchen counters, try this hack for making your own. Find a mason jar or some other type of glass jar with a lid and an old T-shirt. First, cut up the T-shirt into washcloth sized bits. Now, add 1 cup of water, 1 ounce (about 1/8 of a cup) of castile soap and 10 drops of tea tree oil into the jar. Stuff the rags in the jar and turn it up and down a few times until all rags are soaked. You are now set! When you need a cleaning rag, pull one out of the jar and wash it when you are finished. Once all rags have been used, start over. Tea tree oil makes these super anti-microbial and antibacterial! When ants invade your kitchen or patio, don’t pull out those dangerous pesticides, try this instead. In a spray bottle, put ¼ cup of castile soap into 1 liter of water. Shake well and spray the ants and their trail. If you have some peppermint essential oil, you can add 20 drops of that, but it isn’t necessary. This should kill the ants within minutes. Don’t spray plants, however, as this might choke the leaves. If you get some on your plants, wash it off the leaves. Fight germs and still keep your skin super soft by making your own hand and body wash using the following do-it-yourself hack. 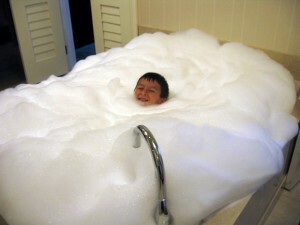 Wash out one of those “foaming” soap containers or order one online. Now add 2 tablespoons of liquid castile soap, 2 teaspoons of fractionated coconut oil and 15 drops of whatever essential oil scent you like. Fill the remainder of the bottle with water. Screw the top back on and shake gently. That’s it! Try it and you will find that this is just as effective, and probably smells better since you can choose which scent you like, as those $4 bottles you can buy at the store. This works for men and women. Simply rub a bit of castile soap between your wet hands and rub it on the face, legs, or underarms. 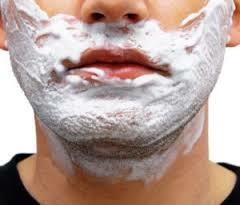 The soap will help your razor glide along more smoothly, which can result in less razor burn. 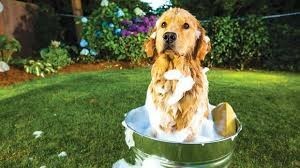 Castile soap is very mild and non-drying, which makes it perfect for your fur baby! Remember that a little bit goes a long ways, so start off small. You can always add more if you need to. Well, maybe not magic, but if you hand wash your dishes, or if you hand wash your good dishes, then why pay a fortune for dishwashing soap? All you need is to add 1 part castile soap to 10 parts water. Your dishes will be super clean and bacteria free! 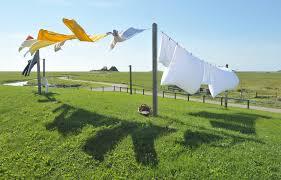 Commercial laundry soap is not only expensive, but it’s loaded with dangerous toxins. Make your own by mixing 1 cup of baking soda, 1 cup of liquid castile soap, 1/3 cup of salt (any kind will do), and 2 cups of water. Dissolve the baking soda and salt into warm water. Now pour everything into a one gallon container. Fill to the top with more water and stir. Add ¼ cup per average load of laundry. This should equal about 64 loads of laundry for less than $5. 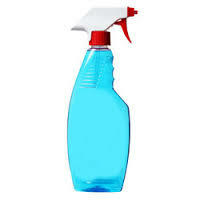 That blue glass cleaner has been around for ages, which is why most people use it, but it is hardly cheap! Ditch that stuff and make your own glass cleaner by putting two teaspoons of Castile soap, and 4 cups of distilled water in a spray bottle. Shake and you are good to go! Use distilled water so you don’t leave any of those annoying mineral spots on your mirrors or windows. If you want a non-irritating, non-drying bubble bath, make your own using castile soap. Mix ½ cup of water with ¼ cup of vegetable glycerin (almost all health food or natural stores carry this) and ½ cup of liquid castile soap. You can add 10 or 15 drops of your favorite essential oil scent if you like. Once you try this bubble bath, you will never, ever go back to that commercial stuff ever again. You can find all kinds of scented castile soaps, including ones made from different types of oils such as Hemp, almond, and olive oil. They all work pretty much the same, so try them all and stick with your favorite. 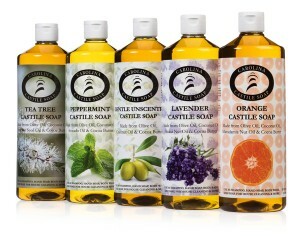 What’s your favorite way to use castile soap?